Eliminates staleness and odors in the air. Leaves a clean, fresh scent. Knocks out unpleasant aromas with one spray. Breathe better with Clean Splash Febreze Air Effects Allergen Reducer Air Freshener (9.7 oz.). Just because you can’t see the allergens lurking in the fabrics of your home doesn’t mean they are not there. 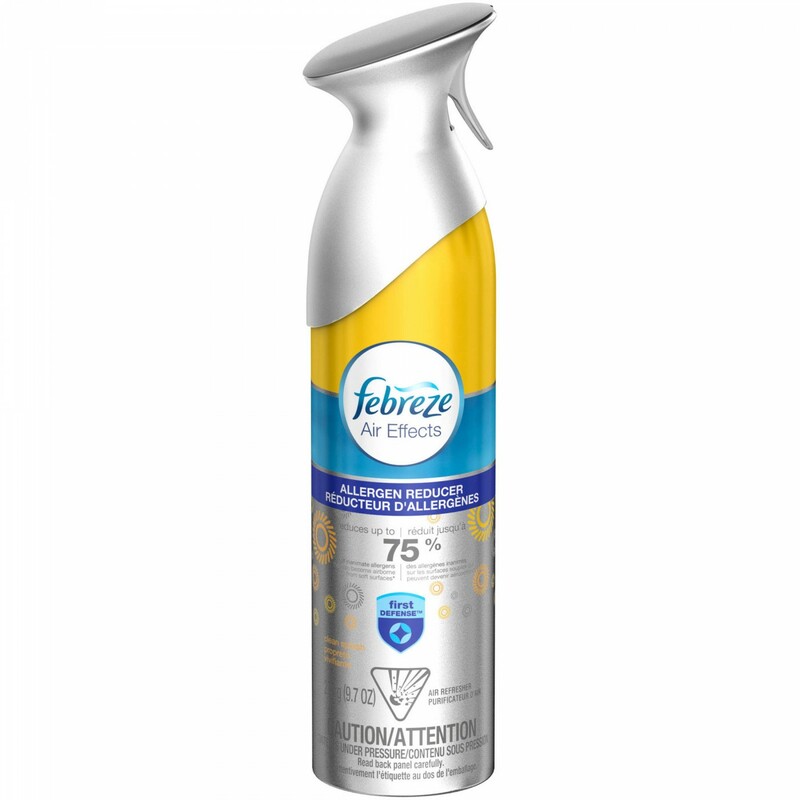 Febreze allergy reducer not only eliminates tough odors from pets, smoking and cooking, but it also minimizes up to 75 percent of allergens. This enables you to get rid of Fido’s unique smell and combat his pet dander at the same time. With this allergen reducer spray, irritants like airborne dust mites are less able to aggravate your nose and eyes, giving you some much-needed relief. The next time your allergies leave you in a haze of congestion, reach for Febreze Air Effects Allergen Reducer and delight in the power of its light, clean scent.